The traditional path to a sports broadcasting career might not be for you. The common route is to earn a degree from a four-year school, start in a small market, and work your way up. That is certainly the most reliable path. But it isn’t the only path. If you don’t have the time or money for four years of school, take a sports broadcasting curriculum at a local community college. Just be sure to choose a school that has a campus radio station. 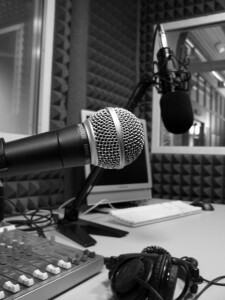 You’ll want the on-air reps for your demo and resume. You need to learn what makes great play-by-play. You’ll find many fabulous resources throughout the STAA website but there are certainly other quality resources as well. Try picking up one of my favorite sportscasting books. Sit in the stands at local games with your audio recorder or smartphone. Get critiques (and start building your professional network) by contacting folks who are already working in the industry. Unless someone tells you where you need to be better, the value of your practice reps is going to be minimal. Contact local radio and Internet broadcast outlets regarding opportunities to broadcast high school or small college games. If you can’t find anything, start your own Internet broadcast for a local school. Again, begin by seeking instruction. And again, you’ll find many useful resources throughout our website. Record and review several segments per week. It will put more pressure on you to produce regular, quality content. It will also give you an Internet presence and, if you are good, start making a name for yourself. Listen to this STAA podcast for some great advice on how to move your podcast from the Internet to the air waves. Get your foot in the door at a local sports radio station as a board op. Once you are inside the station, you can try to work your way up through the ranks to producer, sports update anchor, then fill-in and/or weekend host. Just know that going from board op to fill-in host is usually at least a 30-month (2.5 years) process, if it happens at all. If your goal is to be a sports update anchor/reporter at a local radio station, then follow Sports Talk Show Hosting – Plan B. These two options are money pits. The instruction is usually inferior and you will come away with very little that will help you in the sportscasting job market. Another education alternative is STAA University. Ask us about our single semester curriculum. It includes elite instruction and job placement assistance upon completion. Please be clear – a four-year degree in broadcasting is still the best route to a sportscasting career. Just don’t get stuck in thinking that it is the only route.